In this edition of the Barden Practice Blog Series Kate Flanagan, Partner, with our Dublin team and an expert in practice and careers, gives you an expert’s guide to the key differences between practice firms. This is perfect for any of you deciding and choosing between a big or small accounting practice, especially following your training contract. Throughout your training contract you gained an understanding of what working for a practice is like and the type of work that’s involved. Some people know pretty much straightaway that practice (regardless of the type of practice) is just not for them, whilst others know it’s for them but would like to try a different type of practice. 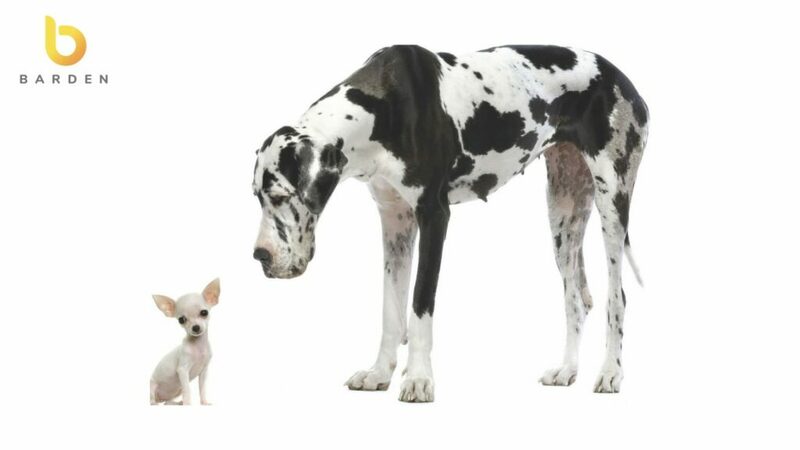 Smaller or SME accountancy firms. As you can see, the categorisation is by size and whilst size isn’t everything, there are some implications as a result of size, which you should consider. By asking some key questions you can uncover some of these implications…..
Is there a structured development plan in place for experienced hires? Sometimes in smaller firms, where there is less hierarchy and levels, career development by way of promotion can be limited. On the flip side, because there are more layers and levels in a bigger firm, there’s more competition and a promotion can sometimes be way of title only. In any case, walking away from a mapped-out career plan in your current firm shouldn’t mean you can’t map out a career in another firm, but you need to ask! Would you like to open your own practice some day? If so, working in a smaller practice with a broad exposure to a variety of tasks would be of benefit. Although working in a bigger firm can give you access to experts which may be useful for your own practice one day. Have you a preference for a particular area or industry sector you would like to work in? The bigger the firm, the more specialised it will be. Some larger firms are known for certain industry sector specialisms. A small firm (with the exception of a boutique or specialised firm) typically offers a more varied role with experience across all areas. It’s important to note that the culture of the firm can determine access to different teams and or broader work. Where do you see yourself long term? Probably the most crucial question to ask yourself as the size of the firm you choose can help or deter you from reaching your long-term goals. If you want to ultimately end up in industry a big 4 firm is the best bet as a lot of industry roles require big 4 experience. If you want to become a partner, whilst an option in any firm, regardless of size, a firm that’s top heavy can prevent you from reaching your goal. Top heavy teams are typically present in the larger firms. However, a similar challenge can present itself in smaller firms which are owner managed as these firms may never open up the partner route for their staff. What do people who have worked in the firm say about the firm? Regardless of size and perception of any firm, you need to find out what it’s really like to work here, ask people that work there. People you trust and share the same values as you. One size certainly doesn’t fit all when it comes to assessing the best firm for you. It’s a totally subjective choice and each firm, each team and each individual have different features, with none better than the other – just different. The Barden Practice Team are here to advise and help at this important crossroad of your practice career. Get in touch with us to have a chat at any stage. The Audit Appeal – benefits of working in and returning to practice. Why Make the Move Back to Practice?